Not a ton of mobile games get shown off at E3, relative to console and PC titles, but Donut County ($4.99) did this year. Yes, it’s probably because it’s also coming out on PC and PS4, but that’s sort of beside the point. What matters is that it made an intriguing enough showing that people were anxious for this physics-based puzzle game to come out and see exactly what you’re doing besides swallowing things up with a hole, which was the biggest thing that you took away from its E3 appearance. Turns out it’s both exactly that and a lot more at the same time. 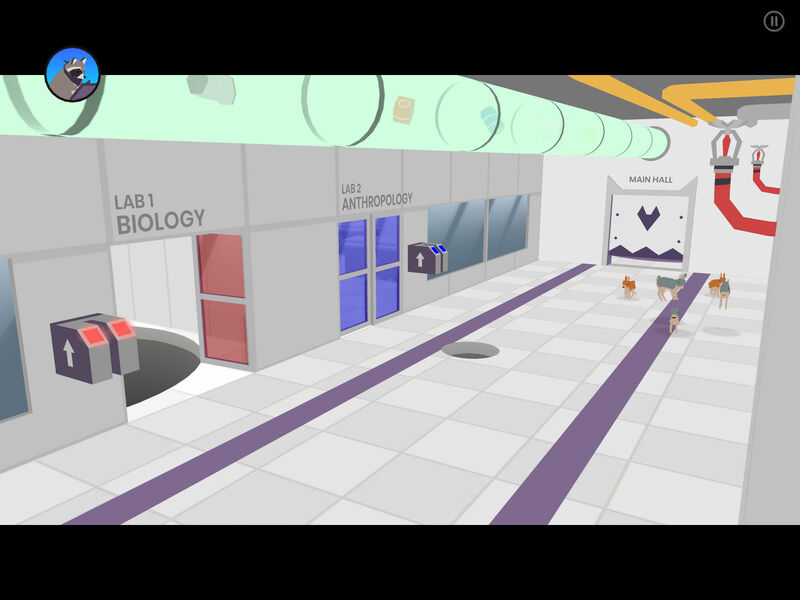 Donut County is primarily the story of a young woman named Mira who works at a donut store with her best friend, a raccoon named BK. That strange-sounding pairing is actually pretty normal since the titular county is populated mostly by anthropomorphic animals, though chickens and snakes are still … well, chickens and snakes. While Mira is a reluctant hero, she feels compelled to take action when people and things start going missing and suspects BK and his fellow raccoons have something to do with it. It’s fair to say that BK is even more hesitant to do the right thing — in that respect he shares some personality traits with Rocket Raccoon of Guardians of the Galaxy fame — but as we learn later, he has his reasons. Once these two friends end up 999 feet underground with pretty much everyone else from their community, the story unfolds by having a colorful cast of characters telling their own stories of woe one by one. The link between them is that they’ve all ordered donuts thanks to a new app that allows the goodies to be delivered right to their doors, and since BK is the delivery person, it’s not a big stretch to say he’s involved somehow. Each level revisits one of those characters and their fateful encounter with what’s in the middle of most donuts (not all, as the game reminds us that jelly-filled donuts, fritters and the like have no holes) as a hole inevitably comes for them and all of their possessions. That’s because of you, of course. 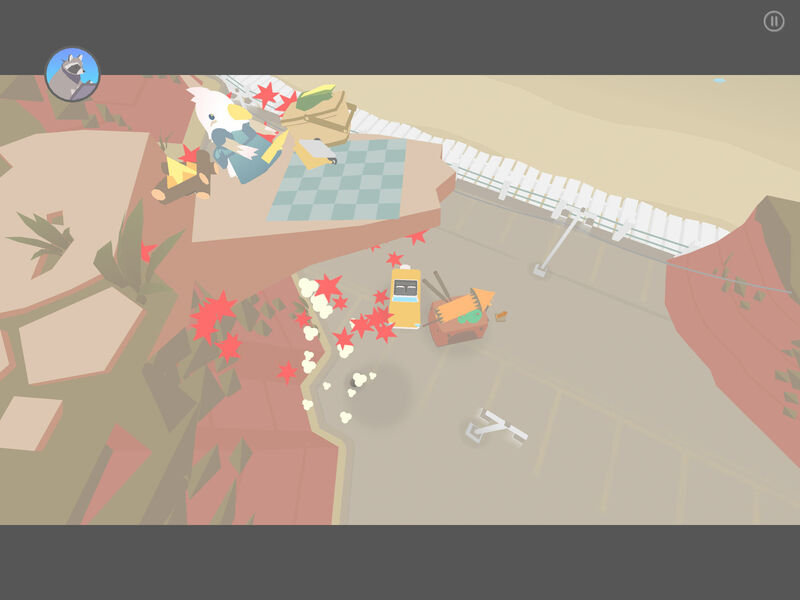 As shown off right from the title screen, the core mechanic in Donut County is your control of a hole, which always starts each level off small but gets bigger with every item you send down below. Early on, your main challenge is simply to figure out which items to gobble up in what order, since it’s pretty intuitive that the bigger stuff needs to be saved for later when your hole has grown larger. It’s very easy to control the hole simply by sliding your finger around the screen, and while I didn’t play the game for any other platform, it would be hard to imagine it feeling any more natural with a controller or mouse. In short order, the game figures you’ve got the basics figured out and starts throwing more wrinkles at you. Can the hole swallow up water? It sure can, but then when the hole is full of H20, is it really a hole any more? If the answer is no, is there a way to drain it and turn it back into something that will function as a portal to the underground again? Let’s say, hypothetically speaking, that something was to get stuck halfway in the hole. You might then be able to use it to, I don’t know, activate switches or something by sliding it around to the proper locations. It’s tough to talk about more specifics without giving away some of the puzzle solutions, though there aren’t too many that are difficult enough to do more than give one pause. This is very much a “oh, that’s clever" sort of puzzle game than an “I’m debating whether I need to search the internet for spoilers or be stuck here forever" affair. Throughout it all is the fact that physics are very much a part of every solution, and it’s always satisfying to see things topple over or just barely fit down the hole once you shake them into just the right orientation. It’s also impossible to separate any of the levels from their characters, and developer Ben Esposito deserves all kinds of kudos for the way he’s woven them together. While it might be a little cliche to say that the environments are characters in and of themselves, that is truly the case here, and there were times I was a little regretful that I ended up tearing everything down — though just a little, because it’s hard to deny that swallowing up whole buildings with a hole is entertaining. There are a few twists and turns to the story before you reach its end, which includes a full-fledged boss battle that almost feels like the game changes genres in its final act (but is still both fun and challenging). I could see other reviewers, specifically those playing the console version, getting hung up on the length of Donut County. It definitely won’t occupy too many hours of your time, though on the other hand, not everyone plays games with the single-minded, deadline-driven mentality of games journos. It’s possible you’ll want to linger a bit more on each level even when you know how to finish them off. 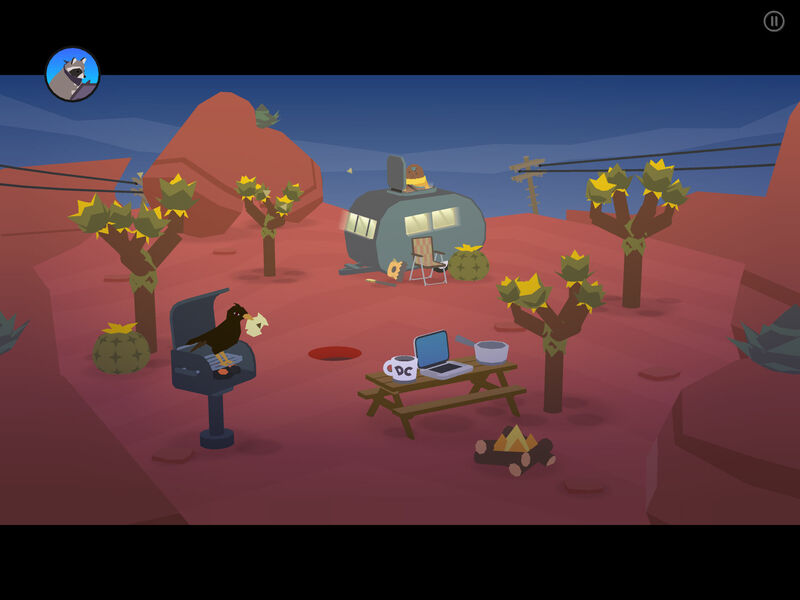 Debates about game length are silly anyway, because games only really need to be as long as necessary to tell their stories or have you reach your final goal with a sense of accomplishment, both of which Donut County does beautifully. What does feel true, though, is that it throws concepts at you along the way that you wish were followed up on a few more times. In other words, once you’ve figured out all the different things a hole can do, you’ll want to put them to use more than you’re required to do so. There’s nothing preventing you from going back and playing through levels again once you’ve beaten them — and in fact, there are options to do so once you’ve done a complete playthrough — but there is a feeling that as soon as you’ve learned something, it’s on to something else.